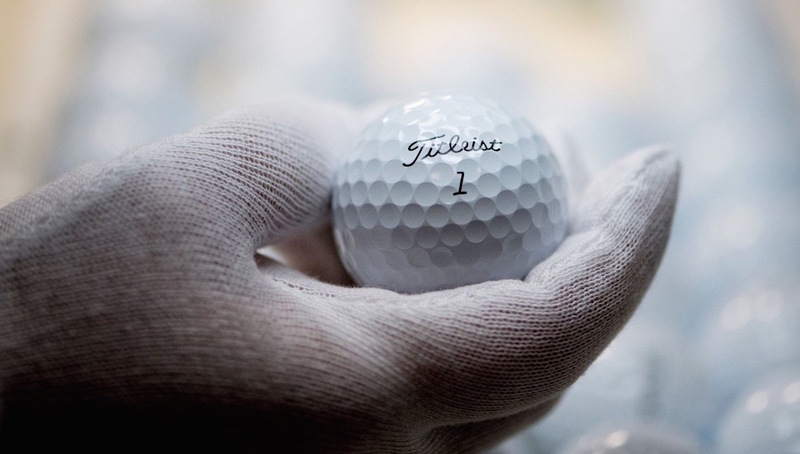 Pros: Everything you expect from a tour-level ball, except the price. Low spin off the driver and ample spin around the greens. Cons: Lack of presence at green grass accounts and major outlets means you can’t just pick up a sleeve to try at your local course. Who’s it for? All golfers, especially those looking for a more affordable tour ball. They’re available exclusively through SnellGolf.com and sell for $31.99 per dozen. What the Snell is going on here? Actually, it’s quite simple. Dean Snell, founder of Snell Golf, is on a mission to provide golfers with access to tour-quality equipment at a fraction of the price. 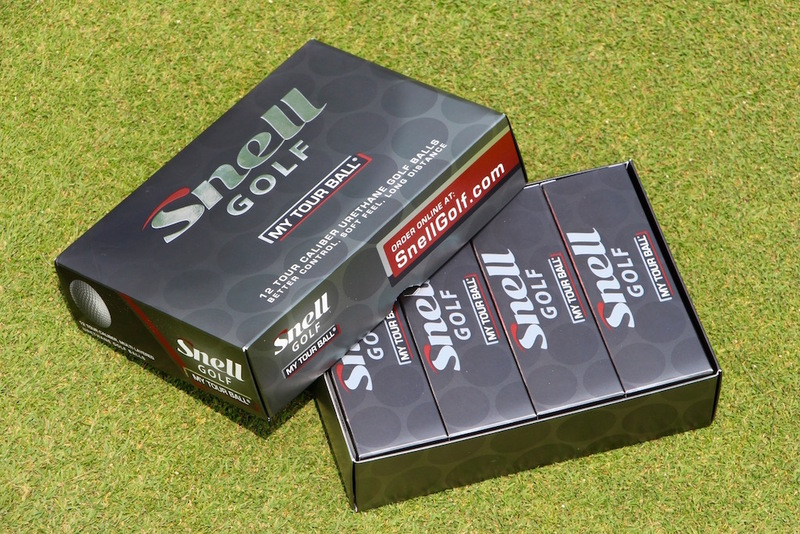 Snell Golf’s “My Tour Ball” sell for $31.99 per dozen at SnellGolf.com. First, a little bit of background on Mr. Snell. After graduating with a degree in plastics engineering, Snell went to work for Titleist where he had his hand in models such as the Professional, HP2 series and Pro V1. He then took a job at TaylorMade as VP of Research and Development, creating models such as the TP, Penta, Lethal and Tour Preferred balls. Needless to say, he has his name on many, many patents. Then last year, Snell decided to use his 25 years of experience in the ball business to found his own company. Suffice it to say, Snell knows ball design like Eminem knows rap music. It doesn’t take more than several minutes of conversation to realize Snell’s passion for the game is exceeded only by his experience and desire to make a difference for the amateur golfer. His endeavor is “something more than a hobby, but something less than a career,” he told me. Let’s get down to brass tacks. Ball compression is overrated. Swing speed plays a role in ball fitting, but not nearly as much as people want to believe. The crux of the matter is that every ball can be long off the tee as a result of lower compression cores. Low compression leads to low spin and (generally) greater distance. But that’s not unique. You can get that in an affordable 2-piece construction or in a tour ball with several more layers. So what are you paying for in a “tour level” ball, exactly? It’s those extra layers. “My Tour Ball” uses a cast urethane cover, which contribute to its impressive spin and soft feel. Premium golf balls have at least three layers, each with specific performance attributes: A core that regulates driver ball speed and spin, a mantle layer that is key to iron performance and a cover that drives spin and feel around the greens. 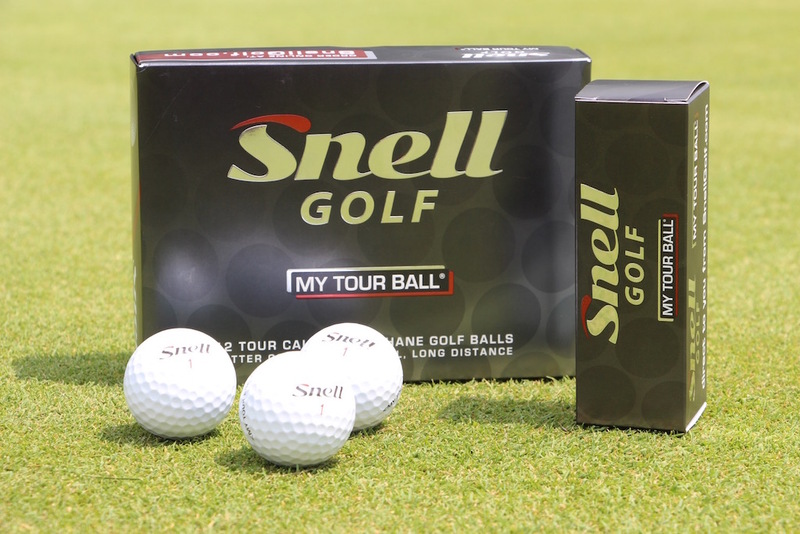 Snell’s “My Tour Ball,” which I’ve tested extensively over the last several weeks, is a 3-piece ball with a low-compression core, a mantle designed to optimize iron performance and a cast urethane cover for optimal green-side control. Off the tee, the My Tour Ball is fast. Cheetah fast. Given the combination of a low compression/low spin core and exceptional ball speeds, the My Tour Ball is mostly likely as long, if not longer, than what’s currently in your bag. Compared to my current gamers (Bridgestone B330S and B330) the My Tour Ball consistently had 1-2 more MPH of ball speed and 50-150 fewer RPM of backspin. At a swing speed of 110 MPH, that translated into a couple extra yards on well struck shots. As for feel, it was firm and dense without being clicky. A few extra yards is nice, but the performance off the tee isn’t ultimately the reason you should try this ball. As Snell told me, “If someone says they’re getting 12 more yards off the tee, I’m skeptical.” The salient point here is the amount of leverage the industry continues to place on using distance to sell product. Not only is it misleading, but strictly using driver numbers and a couple swings to fit for a ball is incomplete and “inconsistent with what we know about ball design and how to score well,” Snell told me. Now that we’re off the tee and down the fairway, let’s grab a 7 iron and see how we do. In designing the mantle of the My Tour Ball, Snell refers to the “artistry” involved and specifically the interplay between the mantle and cover thickness. The balance has a direct impact on trajectory. You’ll often hear better players speak of “hitting windows” with their irons. Being able to hit specific shots with irons is critical to hitting greens and putting golfers in a position to make putts. The My Tour Ball was delightfully true and predictable. I could hit every shot I needed to and the ball held its line: high, low, draw, fade. This ball is capable of doing whatever you want it to. If you play in windy conditions, expect the MTB to hold its line and bore like a carpenter bee. For me, it took a two-club wind and turned it into a 1.5 club wind. In testing, there was no discernable difference between my B330, B330S and the My Tour Ball on iron shots from the tee or fairway. If there was 1-2 yards of difference, it was due to user error and nothing more. From both light and deep rough, the higher spinning B330S was a couple yards shorter, and the B330 was spot on with the MTB. More than anything, it indicates that the My Tour Ball and is on par with the best premium balls on the market. When you fork over $45+/dozen for a tour ball, this is where you really find out if it was worth it. With the My Tour Ball, you can put the extra money back in your wallet and buy the first round instead. Long story short, the My Tour Ball was more impressive than I anticipated. Given the emphasis placed on this part of the game for players who would likely try the My Tour Ball against their gamer, this was both the most exhaustive and compelling part of the test for me. I went through my normal practice routine hitting every conceivable chip, pitch, lob, bump-run and bunker shot. 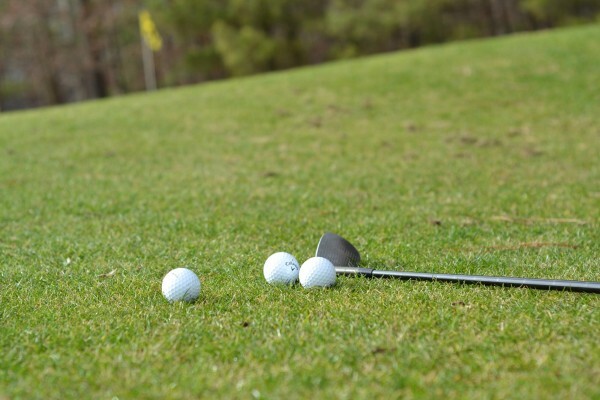 From there, I continued to test the ball on the course and even put it into play under tournament conditions. With every shot, the My Tour Ball felt softer and had slightly more bite than the B330. Keep in mind, I’ve played both the B330 and B330S with great success for the past three seasons and until I tried the My Tour Ball, there was absolutely no impetus for me to change. However, after testing, there’s no reason I shouldn’t. The 30-40 yard pitch/hop/stop: This shot is a litmus test for my short game. If I can get a ball to behave appropriately from this distance, it’s a harbinger for the rest of my green-side chips and pitches. The thinner and softer cast urethane cover gave this shot more bite on the second hop than my B330 and in this regard, performed much like the current version of the Pro V1x for me. 90 yards — A full 60-degree: The greatest concern I have with full wedge shots is controlling the amount of spin I put on the ball. Too much and you risk ripping the ball off the green, and too little makes and it hard to predict how the ball will react when it hits the ground. The MTB sits comfortably in the goldilocks zone: not too much, not too little… just right. 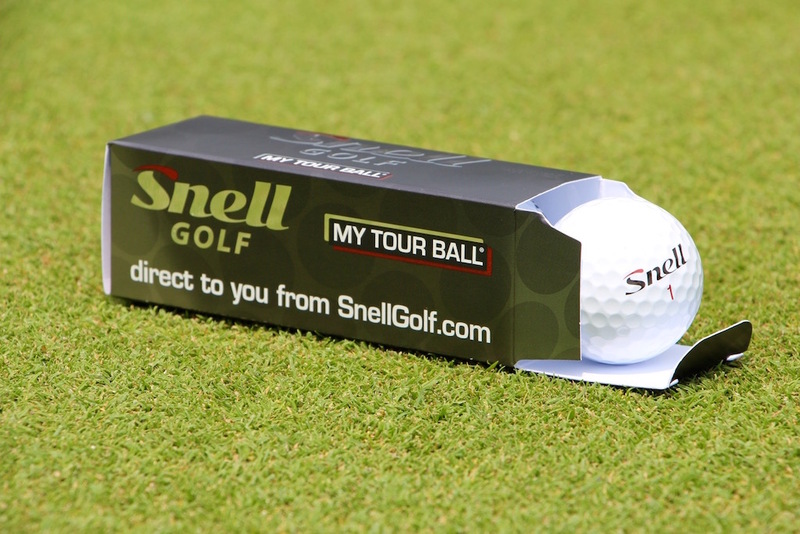 Snell Golf offers a Trial Pack ($26.99) with two sleeves of both the My Tour Ball and its Get Sum ball. When Callaway introduced the Rule 35 ball, they offered a 5-ball trial pack. This was because research showed the average golfer lost 4.5 balls per round. If you really want to see if a ball is better for you, a 2-ball trial sleeve might not make it through the front 9, let alone several rounds. 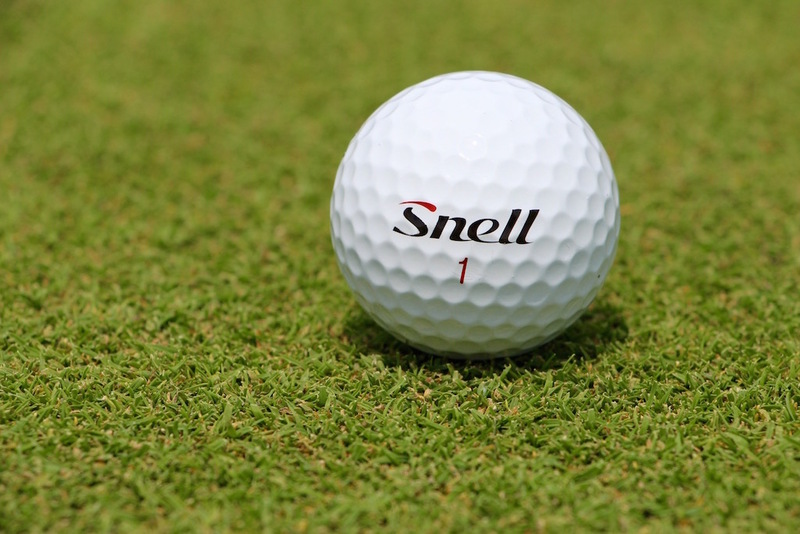 Some users report durability issues with the Snell logo. In testing over several weeks, multiple rounds and testing sessions, the My Tour Ball didn’t fair any better or worse than comparable tour level balls. 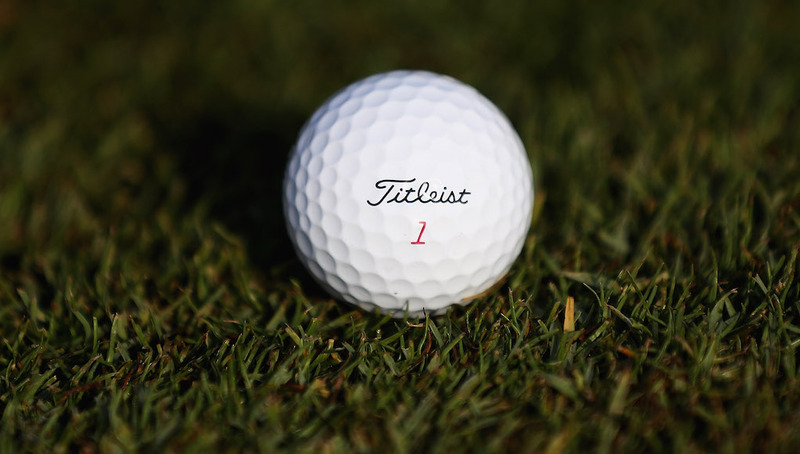 If you currently play a premium ball, you owe it to your game and checkbook to give the “My Tour Ball” a run. The golf ball is the only piece of equipment used on every shot, and if you can get everything you need at a fraction of the cost, I’m not sure there’s a downside. Why wouldn’t you drive a BMW on a Honda budget? Bought two dozen. Loved the ball when chipping and they had a soft and great feel putting. 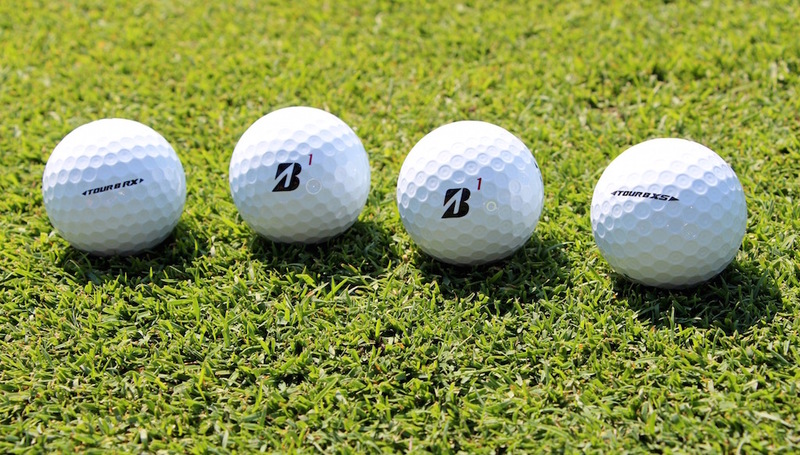 The iron play was consistent with the Bridgestone S ball. But I did experience 10 fewer yards off the tee. And this was on center hit drives. I was shocked after I read the reviews. I’m a 4.5. I had a dozen of these. i was not that impressed with them. To each their own. I don’t understand why people feel the need to compare a used ball to a new one never used. I bet if you found a MTB used it would be $12 per dozen….. Let’s be responsible here. We also all know that you can buy last year’s models for less…. Comparing new balls, this is probably a great ball for a great price, and because of this review I’ll probably try a dozen. Playing the B330 currently and the offer they usually have is buy 3 get 4th free. Well most of the time, I don’t feel like spending $135 plus tax all in one shot. A quick look into my game. I’m a 9 handicap and drive the ball on average 280-300 yards. I’m not bragging at all but if this ball has less spin off the driver then my current ball that could be the difference of a playable shot and a punch out of the trees. It’s usually windy when I play because most courses I play are on the water or a links course. If I can get a ball that spins less off the driver making my mishits a little less severe, it’s worth a try. Chris, thanks for your review! It was informative and helpful. Been using Snell MTB for about 2 months now. I seriously love them! I used to be a ProV1 guy and occasionally the Tour Preferred. Each ball has its pluses and minuses, but the Snell for me has been great and does everything and every shot I need it to. Great review. I just placed my order. For $32 and free shipping I’ll give Snell a try. I loved the price of the Chrome Soft, but not the ball. Hope to find a winner with Snell, or back to $47 a dozen. Seriously doubt you’ll be running back to the $47/doz realm – Thanks for the read! 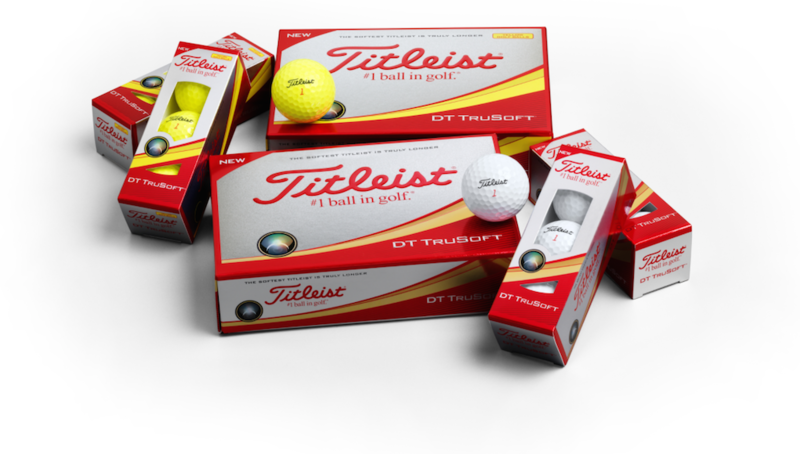 3 handicap that has used Chrome Soft (previously 1x) since they came out – i got curious about the Kirkland ball – which got rail-roaded by the big name brand boys – just ordered the 4 dozen Christmas pack with a shirt and a hat for $127. Looking forward to hitting them once they arrive. Forbes article on googling Kirkland situation mentioned Snell FYI. 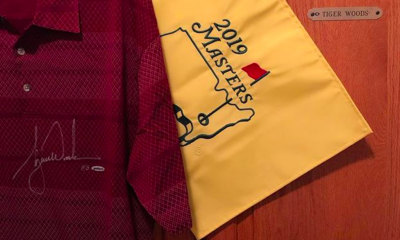 Once I lose them – I will at least have a shirt and a hat – hopefully a few routine rounds along the way. In recent years I tried every ball under the sun to try to replace my Titleist Pro V1’s. I was always disappointed. You can’t tell me that this ball plays as good or just like a Pro V1. What if I said I played Nike RZN Black? Would you claim it played as good or just like that one? “Good,” in this scenario, is moot. 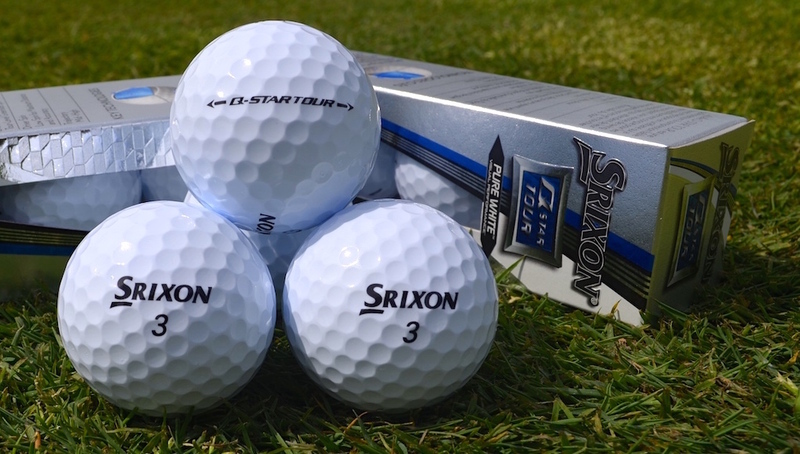 The Pro V1 is an exceptional performer while consistently behaving predictably. I know this because I have learned to play with this ball (not well enough yet, though! ), and learned its distinctive characteristics. It is neither good nor bad. I have merely put a tool to “good” use. I wouldn’t refuse a free sleeve though… Just to try, of course. Ken – I would hope you understand I’m simply speaking from my perspective as an equipment editor – Hence the comparison to balls I’ve played over the past couple years. I don’t know that “good is moot” as much as good is relative to you, your game and what you need a ball to be able to do to help you play better. Thanks for the read and comments! With the exchange rate being so poop it makes these roughly $42 + shipping canadian that’s Chrome soft price not bad… but is it worth going online and waiting over a week for? at $35 I would be more of a player. I might just try the trial sleeve and if it’s good order a couple boxes at once for the rest of the season. Great article keep it up! ill definitely give these a try. i recently was given a sleeve of Vice Tour Pro balls and gave one of them the whirl on the back nine. MTB and the VTP seem to be preaching the same message. after reading the extensive background on Snell, i can’t help but try these out. looking forward to it. ***as lame as it sounds though, the logo looks amateur. Snell may be a tech guy, but he’s allegedly worked with and had a hand in significant product in the golf ball market. i’m just curious as to how aesthetics are left out? to each is own, but thats the truth. I guess the ball itself doesn’t look half bad, the box however definitely looks cheesy. hopefully these balls are like subaru’s! Great comment. I was also hoping for a more progressive alignment aid for putts. OMG! I just stumbled upon the reason for slow play. 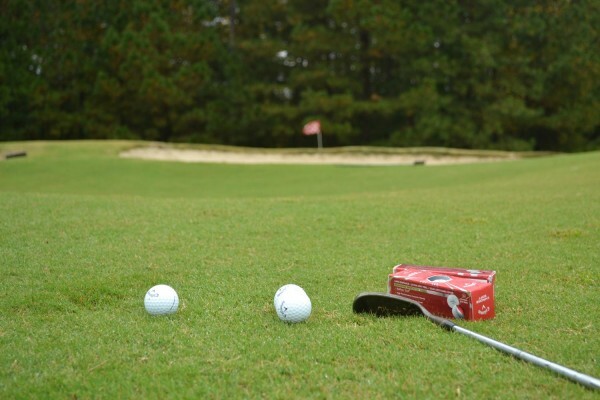 The final paragraph of the article claims research shows the average golfer loses 4.5 golf balls per round. At the rules approved 5 minutes per ball hunt that equals 22.5 minutes per player. With a foursome that’s jacked up to 1.5 hours of ball searching. Though, given some overlap where two are more players are looking for their lost ball, we can probably reduce that to 1.2 hours of delay per round. 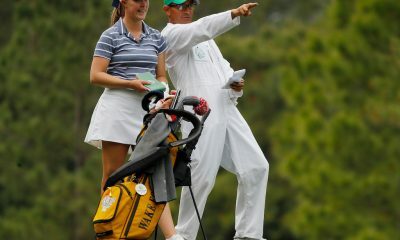 The USGA needs to change the rule regarding looking for lost balls to 1 minute! That should take roughly one hour off our rounds. Eureka! The one factor that your time calculations doont take into account is that not every lost ball resulrs in a search. Many lost balls are in water hazards or other places where looking for the ball does not occur. 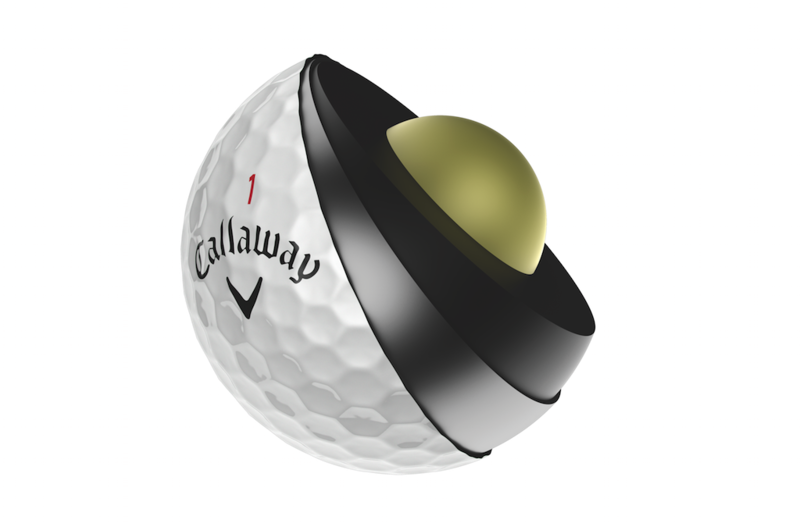 Has anyone also tested something like the MG Tour C4 ball? Or any other non-major oem ball? Just asking because the MG is still cheaper than Snell. I have played this ball and it is Ok. I did not find it super durable or better than anything else there. it was shorter and spun less than the other tour caliber balls that i enjoy playing. Nothing bad or outstanding about it. It is a good value at $25 dollars. great ball for the 80-90 shooter that does not want to fork out for the balls out there that are better. Cody – This is exactly the reason it’s important to try different balls and see what performs best for you – If I can ask, what is your HC and what ball do you usually play? 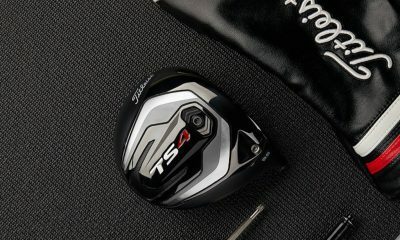 As a scratch player, I don’t agree with your last sentence and I think the technology in the MTB is on par (if not better) than a lot of the higher priced premium balls out there. Which balls do you feel are better and what, specifically, about those balls make them better? I can’t speak for him but these balls were a dissapointment. The following performed better with my game 8 index… pro v1x, TM project a, wilson duo spin, wilson sl9000 feel, and several callaway balls. I hate to say it but sl9000 feel @ 12 bucks for 18 balls were better. Sorry. This is a great write up/review (like usual from WRX) and Im always excited to see something new, especially in balls since I have been playing the same thing for like 10 years. Im not saying you need to be like a food critic and add some sort of criticism into every review just for sake of being “critical” but its just hard for me to say “oh wow, this ball must be the real deal because WRX gave it a raving review” because all the reviews are that way. Thanks for the read and your comments – As a reviewer, it’s always a challenge to articulate what worked well/didn’t work well for you and give readers something which serves to inform them. The reality is there’s so much good equipment out there – it’s less about being super critical and more about trying to let readers know what types of clubs, balls, shafts, etc. might be more likely to fit certain types of players. That said, there are still key differences between OEM’s and products and I’d love to hear any additional feedback you have. Thanks! Sorry but $31 is still expensive to me. I can get 2014 ProV1’s for $20 in mint condition if I buy them used. Or whatever ball I want – I like the TM Lethal the most. Those are about $14 mint condition. If you’re accustomed to buying used balls, then $31 might seem high – But for the majority of people who regularly drop well over $40/doz, I think a 35% discount seems quite attractive! Please stop referring to this ball as your “gamer” – you sound stupid and cliché. Great feel, was hitting 50 yrd wedges shots with the Snell MTB against the ProV … checked so well. Will be playing the Snell. Played the My Tour Ball for the first time today and absolutely fell in love with this ball ! I’ve been alternating between Wilson Duo, Bridgestone E5 and Callaway’s Supersoft and Chromesoft but there is simply no comparison to the Snell MTB. Drives weren’t significantly longer but the ball flight was wonderful. It’s the approach shots and around the green where these balls just impressed the heck out of me. I normally could not get a ball to check up and stop on the green but these balls would take a bounce or two and just stop dead. My goal this season was to break 90 and wouldn’t take know, today I shot an 86. Maybe the lessons are starting to pay off but I definitely think this ball helped shave a few strokes off the round today. I’m definitely a convert and will be playing these balls from here forward !! Give them a try, you won’t be disappointed. These replaced ProV1s and couldn’t be happier. Great all around ball. Got the Father’s Day deal, buy 4 dozen, get 1 dozen free. I highly recommend. More importantly, how is the feel off the putter? Is it softer like a prov1 or a little clicky like a Nike ball? Kyle: I’ve been using the My Tour Ball for about a month now. I use a SC Newport 2 Dual Balance putter. Prior to using the Snell ball, I was using the Prov1. From my experience, the feel of the ball off the putter with the Snell has been as soft, if not a bit softer, than I experienced with the Titleist. Putting-wise, my consistency and accuracy has been the same with both balls. 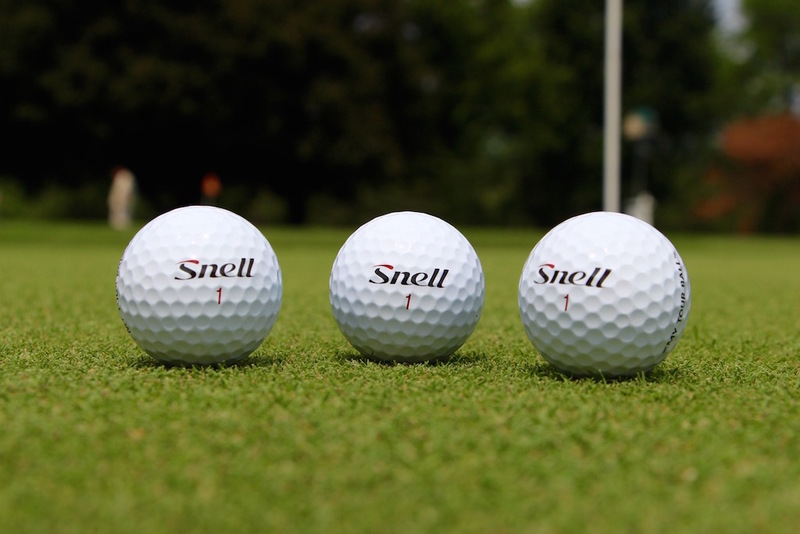 As an added note: I’ve given each of my playing partners a Snell ball to try. They have since ordered their own. Hope this helps. 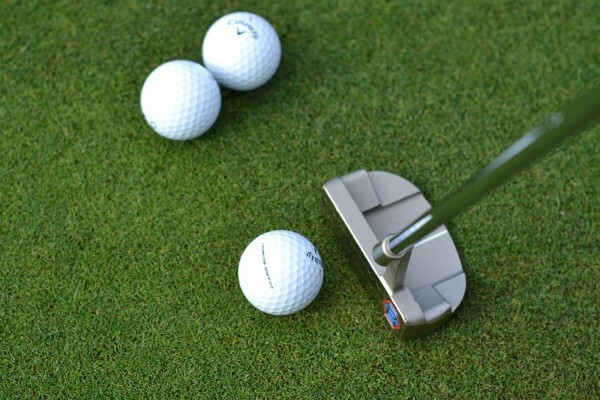 For me, the feel off the putter was solid, but not marshmallow soft – Also b/c of the length of the stroke, the type of putter (insert, no insert, etc) can have a dramatic effect on how a ball feels off the putter face. This is my gamer. I used to use the B330S also. I tried this ball just out of curiosity, but it was the best performing ball for me. Personally, I do not like the name of the ball. lol. Durability is about the same as the B300…it performs about the same as the B300. I live in Iowa so we get wind and the B300 was always the ball that cut thru the wind the best. MTB does a good job as well. Overall a great ball for a great price! love the ball and i agree with the logo comments, its a big too large for my eye and it scrapes off easily thru play or even with a finger nail, not that big a deal though. I have tried them and found the durability to be the same as the ProV1X balls that I use. I would have to agree with everything that was said in this review. You order the balls directly from the manufacturer. How was durability vs B300/Pro V1x and any ideas if when I can try them in the UK? Durability was fantastic – No issues there at all – In terms of shipping overseas, contact Snell directly and see what they can do. Dean also posts fairly frequently on WRX and I’m sure if you reach out to him via PM, he’ll get in touch with you. Thanks! 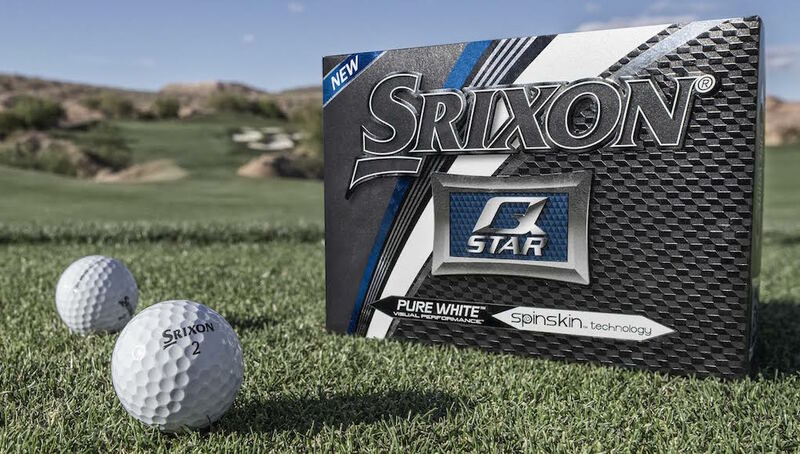 Is the Srixon Q-Star Tour the most technically sound $30 golf ball? Is the Future of Golf Balls Lower Spin? For years now, TaylorMade has been preaching lower spin to create more distance, especially in its drivers. Its original SLDR driver was actually so low spinning that TaylorMade encouraged golfers to try higher-lofted club heads, or to “loft up,” so golf balls wouldn’t dive out of the air. Now, when you look around at the popular drivers in the industry, most of them are designed to lower spin. TaylorMade was ahead of the curve. With its new TP5 and TP5x golf balls, TaylorMade is pushing a similar initiative: lower spin on all full shots. For driver shots, it’s easy to understand the benefit of lower spin as long as the golfer launches it high enough. Low spin plus high launch equals more distance; that’s just a math equation. But with golf balls, as opposed to drivers, their jobs are also to get close to the hole, not just go as far and straight possible. With that in mind, is lower spin necessarily beneficial on ALL full shots, including the irons? For Jon Rahm and Rory McIlroy, who both switched to TaylorMade TP5x golf ball this season — the lower-spinning and slightly firmer-feeling golf ball in the TP5 line — the answer is clearly “yes.” Rahm saw an 800 rpm drop in iron spin with a 4-iron compared to his Titleist’s Pro V1x golf ball and a 400 rpm drop in driver spin, according to TaylorMade. McIlroy saw up to 10 yards in extra distance with a 5-iron, and he picked up distance with the driver, as well. According to Eric Loper, Director of Golf Ball R&D at TaylorMade, McIlroy was hitting his 7 iron at 16.1 degrees of launch with 6350 rpm, and his 4 iron at 11.1 degrees of launch with 3800 rpm during his initial Trackman testing at The Bear’s Club. Hoyt McGarity, President of True Spec Golf, an internationally renowned custom club fitter with more than a dozen locations, has seen similar performance gains with TaylorMade’s TP5x golf ball through his personal testing and his testing with Tour players. He said he’s seeing 2-3 mph more ball speed compared to other golf balls. Just as importantly, he’s seeing those gains with a higher ball flight in what he called “straight up” club tests. 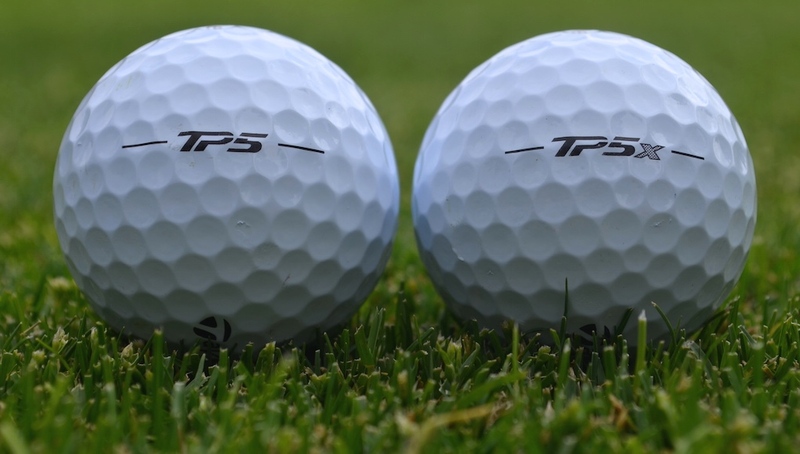 So while TaylorMade’s TP5 and TP5x golf balls are designed to go farther and with less spin on full shots, the company says their steeper landing angles will help them stop nearly as fast as higher-spinning balls. TaylorMade’s belief is based on the company’s scientific bounce-and-roll calculations, which factor in green conditions and landing characteristics. Yes, the lower spin of its golf balls in relation to competitors leads to minimally more roll out, but the amount is insignificant according to TaylorMade: an additional 1-1.5 feet. The company also points out that with a longer-flying golf ball, golfers will be hitting shorter clubs into greens, leading to more control. An 8 iron will yield greater stopping power and accuracy than a 7 iron, right? Expert fitter Scott Felix of Felix Clubworks agrees with TaylorMade in theory. He said that as long as the golf ball is coming into a green at a steep enough angle, low spin is not a problem for approach shots. 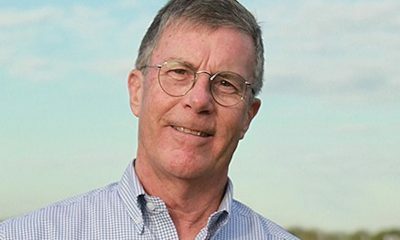 McGarity added that about 80 percent of golfers who come to him for a fitting spin the ball too much, and for Tour players, the drop in spin won’t have a detrimental effect. On the other hand, Felix notes that some Tour players simply want maximum control from a golf ball due to firmer fairway and green conditions, so lowering spin isn’t always the best option for them. But for average golfers, the distance gains will be beneficial. 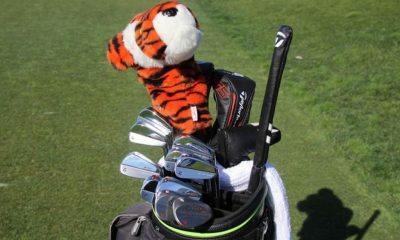 “Most golfers aren’t playing in Tour conditions and will simply benefit from hitting the ball farther and having shorter irons into the green,” Felix said. McGarity also warns golfers who already play low-spinning irons and drivers, and who spin the ball below 2,000 rpm with the driver, that the TP5 and TP5x golf balls may not be for them. 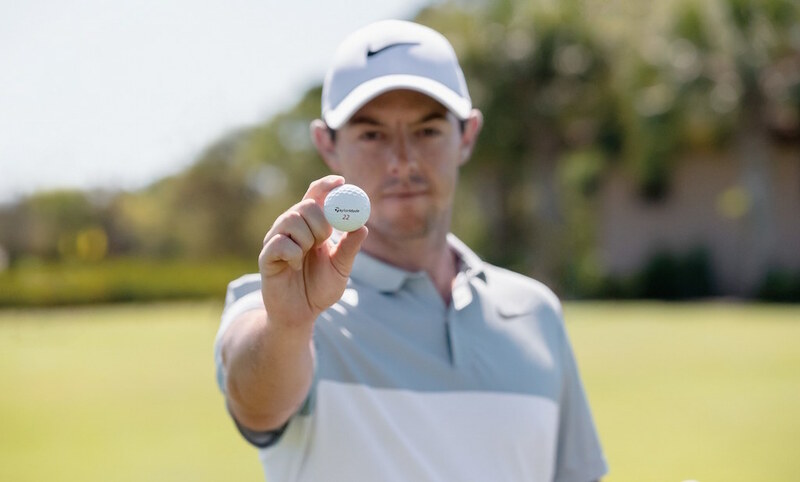 After announcing an equipment contract with TaylorMade at The Players Championship, Rory McIlroy called TaylorMade’s TP5x golf ball the most important factor in his decision to sign with the company. With the new ball, he said he not only picked up distance, but consistency and control in the wind. McGarity’s experiences confirmed McIlroy’s sentiments. So there’s agreement that the ball spins less, goes farther and performs better in the wind with irons. But when fitting a golf ball, is iron play even the best place to start? 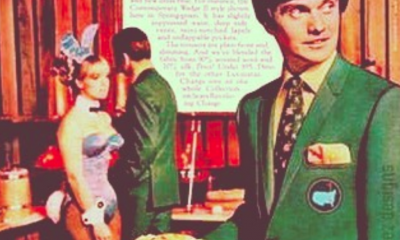 Golf is about more than just iron shots, after all. For Felix, a ball fitting begins by having a client hit “a bunch” of different golf balls on the putting green to narrow it down to a few based on feel preferences. Then he has the golfer take those golf balls to the chipping green and bunker. He then works back to 40-yard shots, narrowing down the options throughout the process based on feel and performance. After that, golfers will progress to the driver, and then to the irons. “Usually you want to get a few balls you really like on and around the greens, then work backwards from there,” Felix said. Initial testing for McIlroy started on the golf course, and not on Trackman, according to TaylorMade representatives. 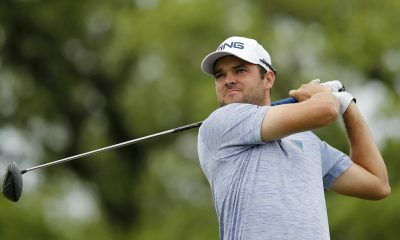 Once he became comfortable with performance and feel, he then took to Trackman to get dialed in with spin and match the golf ball to his equipment. TaylorMade’s TP5x and TP5 golf ball (right), which has a slightly firmer feel. 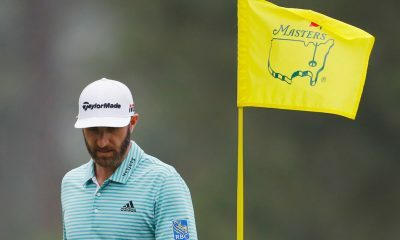 Despite the low-spinning qualities of the golf balls on full shots, TaylorMade believes it’s giving up nothing to the competition in terms of short game performance. “There’s no golf ball that spins more around the greens,” a TaylorMade representative told me. That’s a legal way of saying no other golf ball company can prove, with confidence, that its golf ball spins more around the greens. By producing extremely low spin on full shots, but without giving up performance and feel around the greens, TaylorMade says it’s providing the best qualities from each end of the spectrum with its TP5 and TP5x golf balls. But… how? TaylorMade engineers accomplished the feat by using larger and softer-compression cores. TaylorMade says the cores “activate” at 70 mph of swing speed inside of the five-piece constructions, which also have firm mantle layers and soft, urethane covers. The result is low spin on full shots, and high spin on shorter shots. “It’s the real first golf ball (TaylorMade has) made that’s a game changer,” McGarity said. TaylorMade does admit, however, that golfers may be sacrificing a bit of “workability” with the irons. That’s to say hitting hooks and slices with its golf balls becomes more difficult due to the lower spin. While the TP5 will offer a bit more of that control than the TP5x, it’s definitely something to keep in mind for those who prefer to play a Bubba Watson-style of golf. 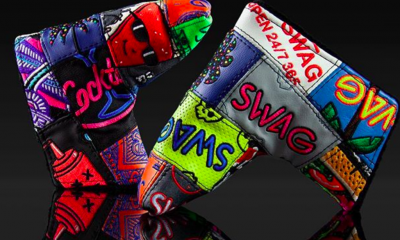 So does all of this mean that lower-spinning golf balls on full shots are the future of golf? Will we see golf equipment companies striving for drastically lower spin over the next few years? TaylorMade representatives say they continue to chase lower spin in their prototyping, and until the golf ball is diving out of the air to the golfer’s detriment, lower spin is the future of golf balls. Obviously, TaylorMade is fully committed to a lower-spinning golf ball, and lower spin in general throughout its product lines. For other premium golf ball manufacturers, bringing lower-spinning options to the market seems likely, given the performance benefits and Tour validation of TaylorMade’s new golf balls. But there’s a reason there are so many variations of golf balls on the market; every golfer is different. Some need more spin with the driver and want more workability with the irons, some want a super firm feel and others just want the cheapest ball possible. 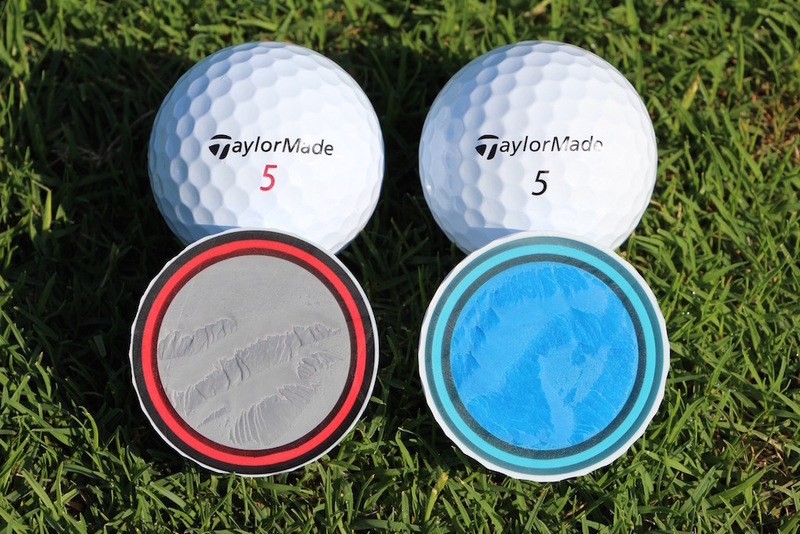 Golfers should view TaylorMade’s TP5 and TP5x golf balls as options in the vast marketplace of golf balls, and perform thorough testing to figure out if this is the right line of golf balls for their game. And remember, lower spin and more distance will require recalibrating your iron distances, and possibly adjusting your equipment, so a mid-season switch is recommended only to those who are willing to put in the necessary work. Pros: Incredibly soft feel like the Chrome Soft, but the Chrome Soft X increases spin through the bag to give better players more control. Cons: Golfers who struggle with too much slice or hook won’t find it any easier to keep shots close to the target with the Chrome Soft X. Who They’re For: Better players with higher swing speeds looking for a soft-feeling ball that checks up faster with iron shots than Chrome Soft. 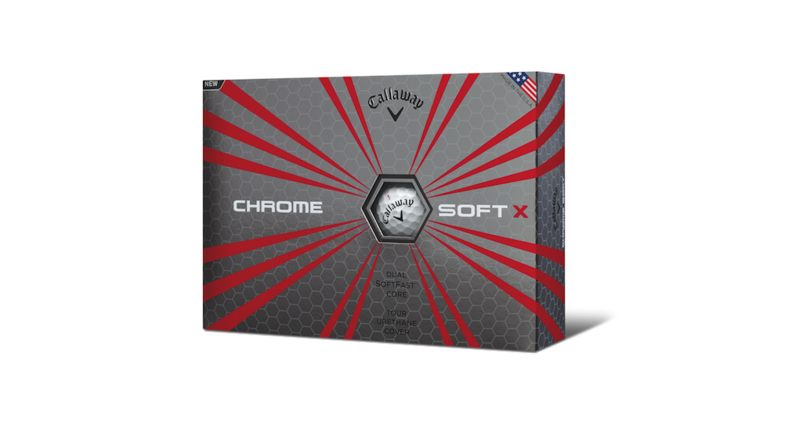 Callaway says the Chrome Soft is “the ball that changed the ball,” and in many ways that’s true. It’s a tour-level golf ball with a softer feel, less spin through the bag and even a lower price point ($39.99) than some other tour balls in its category. The Chrome Soft is Callaway’s best ball option for the vast majority of golfers (and received a 5-star rating by GolfWRX), but it isn’t for everyone. Callaway’s solution for them is its new Chrome Soft X golf ball. 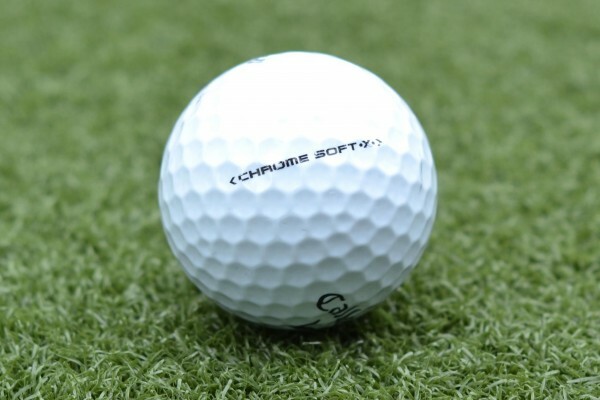 The original Chrome Soft golf ball, launched in 2015 had the very soft compression of 65. 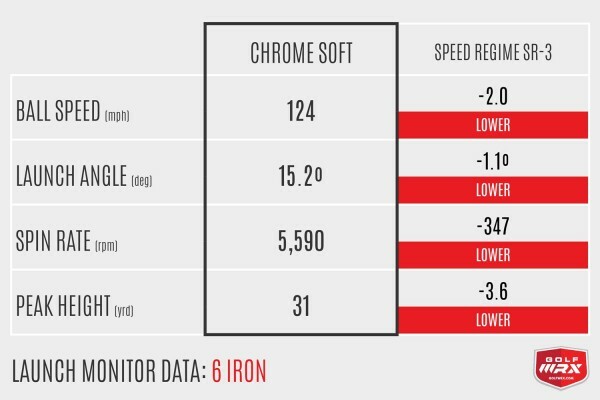 When Callaway released the 2016 version of Chrome Soft, it gave the ball a slightly higher compression (75), which improved its consistency on short-iron shots. The compression of its new Chrome Soft X is 90. The reason for the higher compression has to do with the low-spin profile of the Chrome Soft, a blessing to most golfers as it helps their shots fly straighter and farther. It’s not ideal for some tour pros and better golfers, however. We’re talking about the kind of golfers who have great mechanics and strike shots consistently on the center of the club face. They often have a ball flight that is so dialed in that the lower-spinning performance of the Chrome Soft makes their shots harder to control. To address that small but important segment of the golfing population, Callaway created the higher-spinning Chrome Soft X. Under the hood, Callaway used a slightly thinner urethane cover, increased the size and hardened the compression of the Dual SoftFast core, and enhanced the HEX Aerodynamics. As a result, the Chrome Soft X should generate more ball speed and spin through the entire bag. The Chrome Soft X ($39.99) will be in stores February 3 in White and Yellow. Since the Chrome Soft X is meant to be a complimentary golf ball to the Chrome Soft, we tested them head-to-head. Feel almost as soft as the Chrome Soft with the same durability. Generate more spin where better golfers need it. 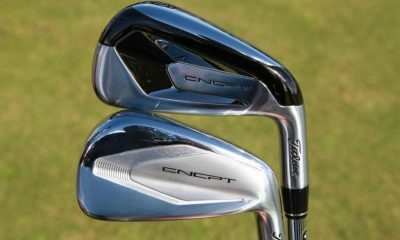 Like previous reviews, I tested these on the course and on a launch monitor with a 60-degree wedge, 6-iron and a driver. To allow me to re-hit each ball numerous times, I completed the testing indoors on a camera-based SkyTrak launch monitor. To keep the numbers as consistent as possible between the balls, I threw out and re-hit any shots that were not struck on the center and did not land within a designated target zone for each club (Wedge: +/- 3yards, 6 Iron: +/- 8 yards, Driver: Target width of 40 yards). But I’m not a robot, so take that into account. Main differences we expect to see: Not many. If anything, the Chrome Soft X might generate slightly higher ball speeds. What the data actually shows: Pretty much as expected. Overall, the Chrome Soft X clocked 1 mph more ball speed, 136 rpm more spin and carried 2 yards farther. These are very subtle differences, and for an amateur like me I would not expect to notice a difference on the course. The larger Dual SoftFast core and higher compression could account for the additional ball speed and carry distance. For me, 2 yards won’t require much of an adjustment. If you are a better player completely dialed in with your distances, you might need to make a minor adjustment. What I saw on the course: When I’m testing golf balls, I like to drop one down without looking at the label and hit a shot. This allows me to remain unbiased in my expectation and just watch what the ball does. When I did this test with the Chrome Soft X on a full wedge shot, I was instantly impressed. The feel was incredible and the distance was spot on. After the wedge testing, I would’ve put this ball straight in the bag. Main differences we expect to see: The Chrome Soft X should generate faster ball speeds and more spin than the Chrome Soft. What the data actually shows: The Chrome Soft X is continuing to spin more through the bag. Ball speeds were slightly higher by about 0.8 mph. The Chrome Soft X generated a considerable amount of additional spin, but also flew slightly higher and had a steeper descent angle. Just like you’ll see with the driver below, the additional spin decreased my distance (the Chrome Soft X averaged 3 yards less carry and 4 yards less total distance), but increased my stopping power. What I saw on the course: Just like previous Chrome Soft balls, the feel off the club face with mid irons was very soft. I really noticed the additional spin on the course, as my draw shot shape started to get a little more curve to it and my shots stopped faster on the greens. I felt like I was able to attack greens with longer irons, flying shots all the way to the hole instead of playing a little short and letting the ball release more. Main differences we expect to see: The Chrome Soft X should spin more slightly more and deliver higher ball speeds than the Chrome Soft. The testing backs this up. The Chrome Soft X delivered the same ball speed, but with 432 rpm more spin. 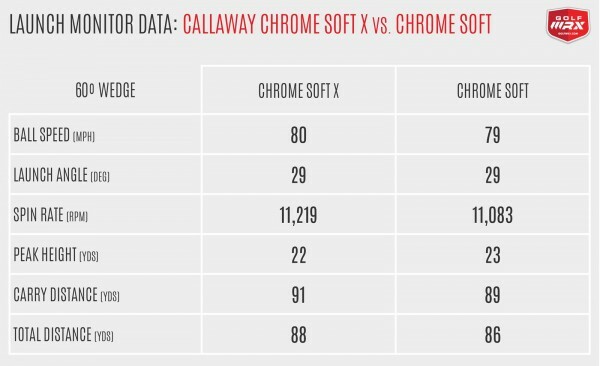 Bartels says Callaway’s testing has shown golfers either spinning the Chrome Soft and Chrome Soft X the same off the tee, or an increase of 100-200 rpm with the Chrome Soft X. He called 400 rpm “within the ballpark,” but not typical. Just to be clear, we’re talking about a change in performance that resulted in just 1 yard less carry distance and 3 yards less total distance; basically nothing. What I saw on the course: As my launch monitor data showed, the Chrome Soft X appeared to fly higher and not roll as much when it hit the ground. The one place I saw a benefit to the Chrome Soft X was when I contacted a drive high off the club face. With the Chrome Soft, these drives fell out of the sky more quickly, costing me carry distance. With the Chrome Soft X, they stayed in the air a little longer. It’s clear for low-spin players, or those with already optimal launch conditions, the Chrome Soft X can provide as good, if not better performance. 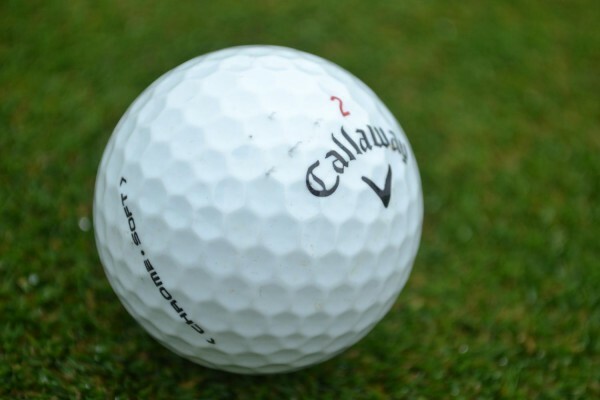 There is nothing this ball can’t do around the greens. I don’t have a tour pro’s arsenal of short game shots, but I do know the difference between a ball that can do anything and a ball that can do only some things. I put the Chrome Soft X through the paces of low spinners, high flop shots, bump and runs, and bunker shots. As expected, it performed identically to the Chrome Soft. Putting one right after the other, if you are really paying attention, the Chrome Soft X feels slightly firmer off the putter face with a slightly higher-pitched sound than the Chrome Soft. But this ball is soft, smooth and rolls beautifully. I have always loved the way the Chrome Soft feels off the putter, going back to the 2015 ball. Even though it’s slightly firmer, the feel off the putter of the new Chrome Soft X continues to impress me (through the entire bag really). Feel is subjective, but I found the Chrome Soft X to be one of the softest tour balls on the market today. I completed all my testing with only one ball, so it saw a considerable amount of shots. Like previous Chrome Soft balls, the Chrome Soft X is very durable. It took a beating with the 60-degree and showed only light scuff marks. Both the Chrome Soft X and the Chrome Soft perform very similarly in terms of durability. The Chrome Soft X isn’t for everyone and that is why Callaway is marketing the “X” as a complimentary ball to the Chrome Soft and not a replacement. With the changes Callaway has made, the Chrome Soft X checks off all the criteria for a high-performance premium golf ball. If you thought the 2016 Chrome Soft was a little too soft with too little spin through the bag, the Callaway Chrome Soft X might just be the ball you’re looking for. Pros: The Chrome Soft has an incredibly soft feel, but doesn’t skimp on performance. It will create maximum distance off the tee for 99 percent of golfers, yet offers short-game spin that rivals more expensive models. Cons: Golfers with high swing speeds (105+ mph) — a.k.a. the 1 percent — may lose a few yards off the tee due to the Chrome Soft’s low-compression design. 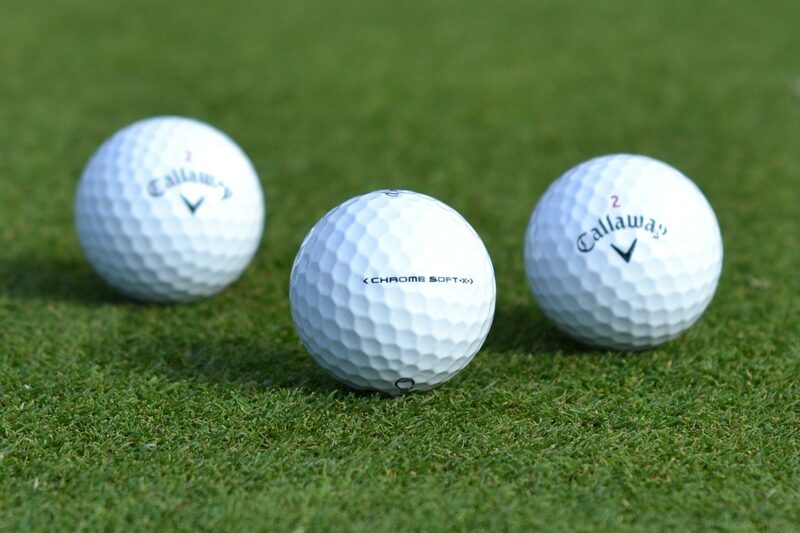 Who They’re For: Any golfer can play the Chrome Soft. Last year, Callaway released the Speed Regime golf ball line, which offered three different golf balls designed for different swing speeds, all with slightly different levels of compression and design. 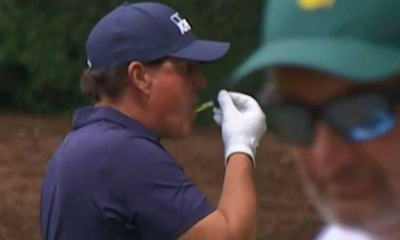 While this gave golfers the ability to really “fit” a golf ball to their game, more choices doesn’t always translate into better decision-making. 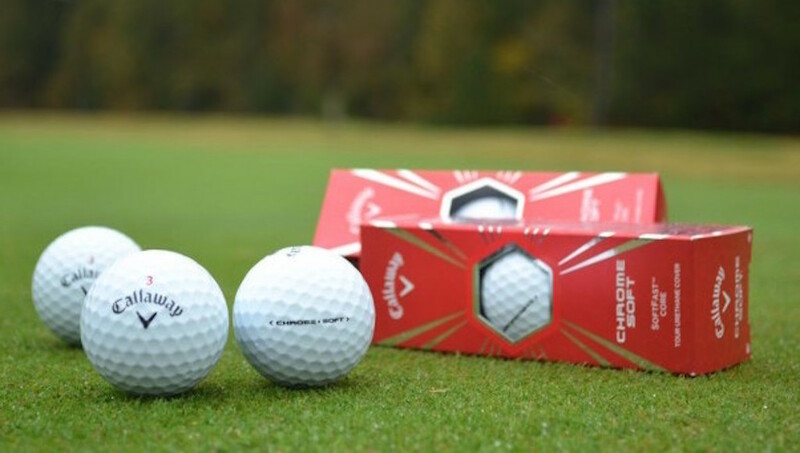 With its new Chrome Soft golf balls, Callaway has released just one ball, with one set of specifications, designed to provide a benefit to all golfers regardless of their swing speed. The three-piece Chrome Soft, with a low-compression Soft Fast core and extremely soft DuraSpin cover, generates lower spin off the driver and long irons for more distance, while generating tour-level spin with shorter irons and shots around the green. 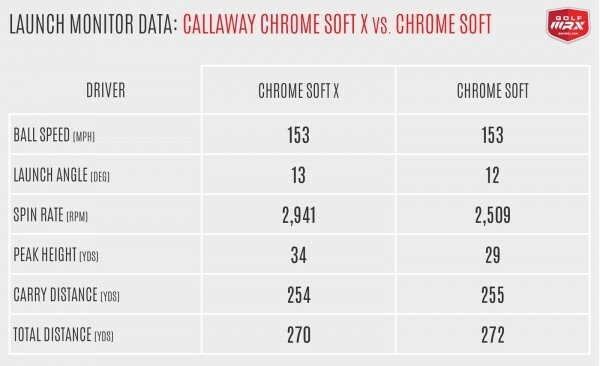 The Chrome Soft is all about the core, and since Callaway is devoting advertising space to actually talking about the compression of the golf ball, let’s dig into it a bit more. Thanks to a brand new SoftFast core, as Callaway calls it, the ball has a compression rating of 65. By comparison, last year’s Callaway SR-3 had a compression of around 105. Typically, the softer the core, the more the ball deforms at impact. This is great for slower swing speed players who need the ball to deform more so it can spring back into shape and generate more distance. But faster swing speed players can actually lose distance if the ball is too soft. After experimenting with 39 different prototypes, however, Callaway was able to create the right combination of the core and mantle layer so the Chrome Soft retains the energy from impact and keeps ball speed high — even at faster swing speeds. The Chrome Soft is available now in White, Soft Yellow and Truvis Technology with an MSRP of $37.99. Custom player numbers and personalization is also available. We put the new Chrome Soft to the test against the Callaway Speed Regime SR-3, which I tested last year. 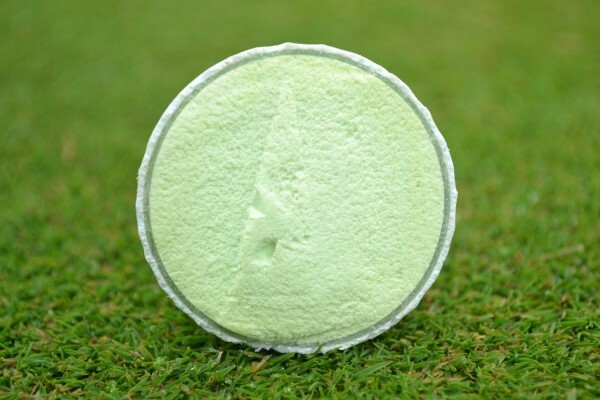 Feel softer off every club, with slightly better durability. Generate less spin off the driver. Create more spin off shorter irons. Like all reviews, I tested these on the range, on the course, and on a launch monitor with a 60-degree wedge, 6-iron and a driver. I headed to BridgeMill Golf Academy and worked with head pro Tom Losinger to get the data using a Trackman in his indoor studio. Main differences we expect to see: The Chrome Soft should generate more spin on full wedge shots. What the data actually shows: Exactly what we expected to see. The Chrome Soft generated 200 rpm more spin than the SR-3, while launching lower and hitting a slightly lower peak height. I did, however, see a big difference in ball speed and carry distance, with the Chrome Soft flying three more yards on average. Increased ball speed or carry distance with the shorter irons is not typically on the list of requests from better players. In this case, it’s a by-product of the new SoftFast core and three more yards of carry with a 60-degree wedge is fairly significant. That 10-foot putt for birdie is now almost 20. These types of gains will require an adjustment. What I saw on the course: This ball was perfect inside 100 yards. If it was flying farther than other balls I’ve played, I didn’t notice. The trajectory on full wedge shots was nice and low compared to other balls, and I was already able to notice a difference in feel between the Chrome Soft and the SR-3. A difference of 200 rpm of spin wasn’t noticeable on the course, as both balls performed very similarly when they hit the green. Main differences we expect to see: The Chrome Soft should generate faster ball speeds and less spin than the SR-3. What the data actually shows: The data backed up the expectations when it came to ball speed. However, I actually saw more spin on my 6-iron compared to the SR-3 and even other tour balls. This could be due to a variety of factors concerning my individual swing, and other golfers might see less spin off their mid irons. Compared to the SR-3, the Chrome Soft launched a little higher, with more spin and ball speed, allowing it to carry a little more than one yard farther. It also hit a higher peak height with a steeper descent angle. What I saw on the course: I was probably most impressed with the Chrome Soft with the mid to long irons. Yes, the ball performed great off the driver, but the softer feel was very apparent with an iron in my hands. Launching shots with mid to long irons had a more effortless feel. I was also able to get some nice height and spin on my longer irons without sacrificing distance, so I could land shots on the green and see them stick, instead of hitting and running off the back. 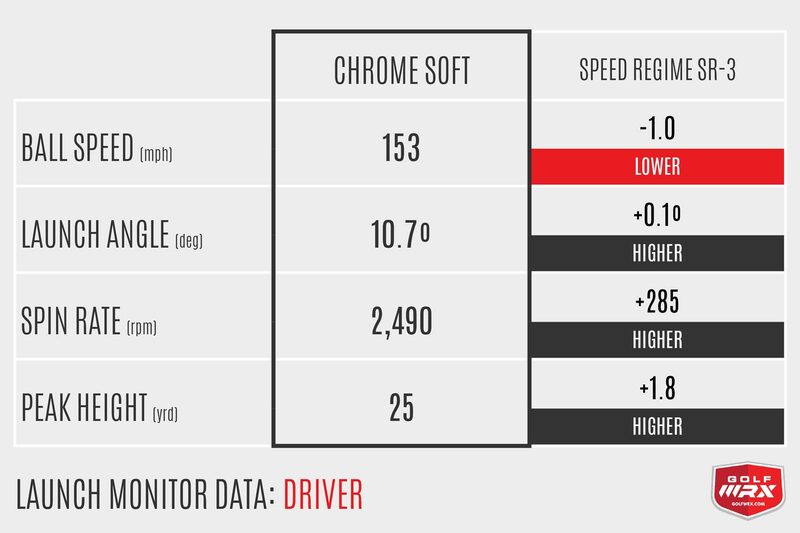 Main differences we expect to see: The Chrome Soft should spin less, but still generate more ball speed than the SR-3. What the data actually shows: I’m a borderline high-speed guy with the driver. My average swing speed is around 106 mph — right on the borderline where golfers can start to “over-compress” the Chrome and possibly lose distance. 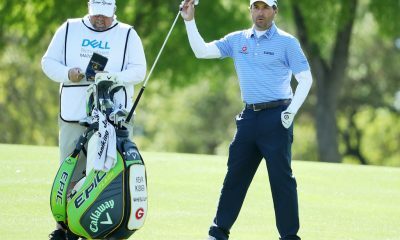 You may have read editor Zak Kozuchowski’s reviews on GolfWRX, who can generate more than 115 mph of swing speed with his driver. In his on-course testing, he said he hit the Chrome Soft about the same distance as other tour balls. In my testing, the Chrome Soft generated slightly faster ball speeds, and a lot less spin — almost 300 rpm less spin than the SR-3. This translated into an extra 1.5 yards of carry, and more than 5 extra yards of total distance. What I saw on the course: The distance gains and lower spin appeared to translate to the course. I wasn’t having any issues getting the ball to run out once it hit the fairway. And the distance appeared to be spot on, if not slightly longer. It is always fun to have that moment in a round where you hit the low, checking chip that freaks out your playing partners. I had that moment from about 55 yards away to a back pin, with out of bounds directly behind the green. With a 56-degree wedge, I hit the low shot and right before the ball hit the green, my playing partners were yelling “get down!” But I knew I hit it well and the ball bounced, checked, and then just lipped the cup. Could I have executed that shot with other tour balls? Yes. But, it is important to know I can execute it with the Chrome Soft. I’m not a short-game wizard like one of Callaway’s more well-known tour pros, but these balls allow me to hit any kind of shot around the green without hesitation. The Chrome Soft feels much softer than the SR-3, which was noticeably softer than previous generation Callaway tour balls. The sound profile has a lower, less “clicky” sound that translates into improved feel. The engineers really have brought the incredible feel of the SuperSoft to the tour-level Chrome Soft. I’ve rolled some beautifully smooth putts with these balls. They are predictable and roll true when you strike them well. While I won’t go so far as to say they are the best feeling golf ball on the market (although they are close), they are the best feeling Callaway golf ball I’ve tested. When most people hear “softer cover,” they instantly assume it will be less durable — and for good reason. It is counter intuitive to believe that soft equals durable. I’m not going to pretend to know the science behind it, but the DuraSpin cover is made from Thermoplastic Urethane, which actually becomes more durable the softer it gets. I’ve played numerous rounds with the same ball, and also completed all the testing with only three Chrome Soft golf balls, so I can back up Callaway’s claims. These balls are definitely durable and can last numerous rounds if you don’t lose them. With fresh wedge grooves, I was getting all the spin benefits and little to no scuffing. I did see some minor scuffs after finding some rocky rough off the tee, but the ball was still playable and I shouldn’t have been over there in the first place! If you’ve avoided Callaway balls in the past because of the “clicky” stigma that has followed them around, it might be time to try a sleeve of the Chrome Soft. Many golfers, myself included, really love the feel of the Callaway SuperSoft, but not the overall performance. The Chrome Soft is a marriage of the soft feel of the SuperSoft with the tour-level performance of the Callaway SR-3. With low spin off the driver and the most spin on short irons of the tour balls I’ve tested this year, the Chrome Soft is one of the best golf balls on the market today. We gave the Chrome Soft 5 stars, but one of our editors made the case that on a scale of 1-10, the Chrome Soft is an “11.” If you’ve seen the movie Spinal Tap, you know what he means. See what GolfWRX Members had to say about the Chrome Soft in our Official Forum Testing Thread.